Visit our growing Wine Village and see one of the oldest County wineries with a well-appointed Tasting Centre offering the largest selection of wine in the area. Situated on a 50-acre estate right on the edge of Picton, the 10-acre vineyard includes Chardonnay, Pinot Gris, Cabernet Franc, Merlot and some hybrids. 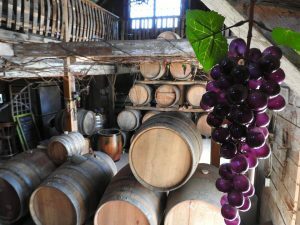 Black Prince was the first winery to use local County oak barrels to age their wines and vintage after vintage the wines receive awards nationally and internationally. The property features a restored century barn suitable for special events, a barrel house offering live demonstrations weekly and daily tastings of local barrel aged wine vinegars by Canadian Vinegar Cellars, fruit vinegars & reductions, giant oak sherry casks, and now a make-your-own-wine facility located in the cellar of the tasting centre. 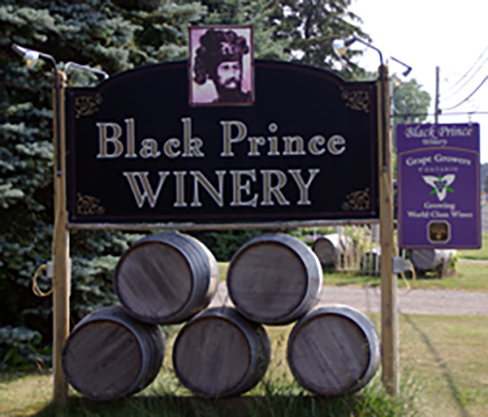 Recipient of the Premier’s Award for Agri-Food Innovation Excellence, Black Prince has produced fine accessible wines for 15 years and are pleased to offer a very unique experience in The County.